Looking for shade jobs in Mesa Arizona? 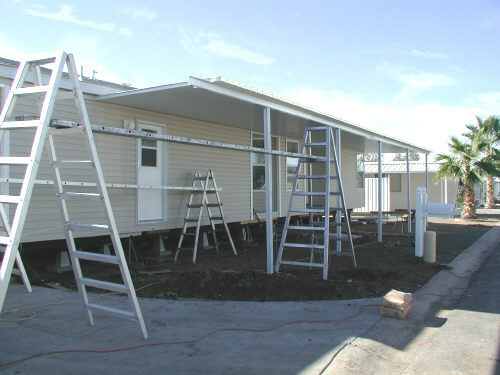 The awning companies in Mesa are always looking for quality awning installers. It is essential that you have a good running truck, plenty of tools and ladders and experience working with aluminum products. Most of the companies have very high standards and personally inspect all of the work. Some experience is a must but with the right attitude and the right tools they don't mind doing a little training. All of the awning companies pay piece work based on some of the best pay sheets in the valley. Most of the East valley awning companies offer insurance programs and other incentives to help keep you motivated. A quality awning installer in Mesa Arizona can have his pick of companies to work for. There are very few of you left so finding work should never be a problem. Ryse Construction has acquired Coombs Awning and that would be a great place to look for work. If you are qualified, and looking for work, drop me a line. I just may be able to put you in contact with the right Arizona awning company.